Watch dolphins play in the Gulf from your Master bed! Direct water view, just one unit back from the Gulf. Imagine relaxing & taking in the salt air from your balcony, or entertaining guest while you watch the sunset over the Gulf. Head down to the beach and put your toes in the sand at the shoreline just feet away. Englewood Beach Place is situated in a residential neighborhood on Manasota Key. Take a stroll just 1/2 mile to Stump Pass Beach State Park and enjoy the pristine, secluded beach or keep on going to Stump Pass only a 1/2 mile further! 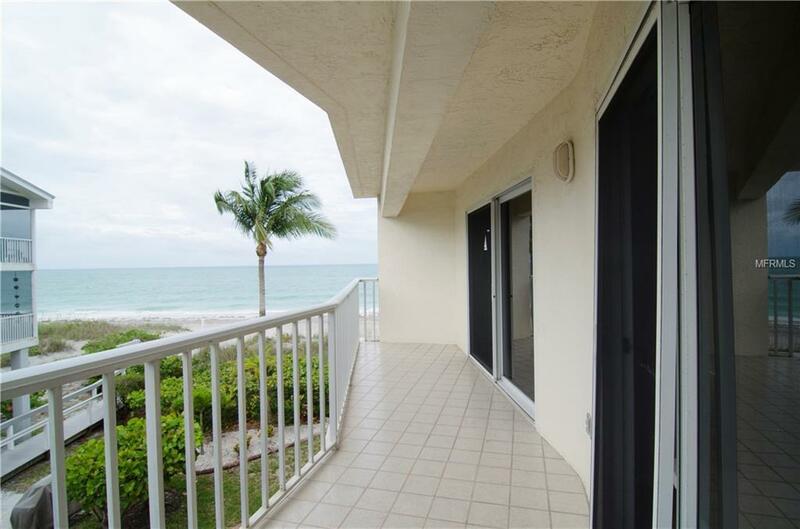 This 2nd floor unit enjoys all the island lifestyle on Manasota Key, just close enough to Englewood's finest restaurants and night life. Never fight for parking as there is assigned space under the building with a paver parking lot and driveway along the beautiful entrance. Soak up the sun at the community pool, sit on your balcony or the shared decks and listen toy the sound of the waves! This property is getting plenty of action so call today before its gone! Additional Lease Restrictions No Pets By Owners Or Tenants. No Transient Reatlas Allowed. 30 Day Minimum.